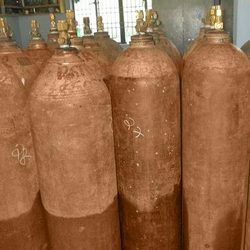 We are largest manufacturers and traders of various Industrial Gas Cylinders such as helium gas and cylinders, acm gas and cylinders, hcl gas cylinders, nitrous oxide gas & cylinders, carbon dioxide gas and cylinders, ammonia cylinders, acetylene gas cylinders, nitrogen gas and cylinders and zero air cylinders. Our company is also engaged in the sphere of manufacturing a wide array of GC Grade Nitrogen Gas Cylinder that are used in hospitals and various other industries for a number of applications. Leveraging on our industrial applications, we can also customized these GC grade nitrogen cylinders as per the specifications, detailed by our clients. We are engaged in the sphere of manufacturing and supplying a wide range of Oxygen Gas Cylinders that are highly useful in hospitals and other health issues involving respiratory problem. 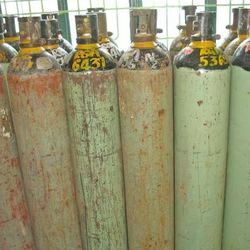 These oxygen gas cylinders are available in various designs and can be customized as per the specifications, provided by our valued clients. Our company has also specialized in the field of manufacturing a wide range of Carbon Dioxide Gas Cylinders (CO2 cylinders) that are widely demanded for various industrial applications in chemical, pharmaceutical, food & beverages and other industries. Based on the specifications, provided by our clients, we can design these carbon dioxide cylinders within stipulated period. 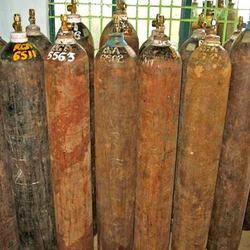 Looking for Industrial Gas Cylinders ?